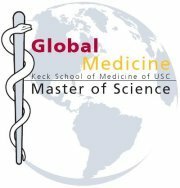 WorldMed: A Global Health Initiative is a student-run organization consisting of Master’s students in Global Medicine from the Keck School of Medicine of USC. Offered by the Department of Medical Educational Affairs, the Master of Science in Global Medicine answers the urgent, worldwide need for professional training in concepts of global medicine. Students in this program will gain the strong medical science foundation needed to analyze, understand and solve worldwide health issues. Program study emphasizes methods used in addressing global diseases and finding innovative new solutions for preventing global health crises. In addition to the basic concepts of global medicine, students will delve into specific issues including malaria, tuberculosis, tropical diseases, HIV/AIDS, and maternal and child health.